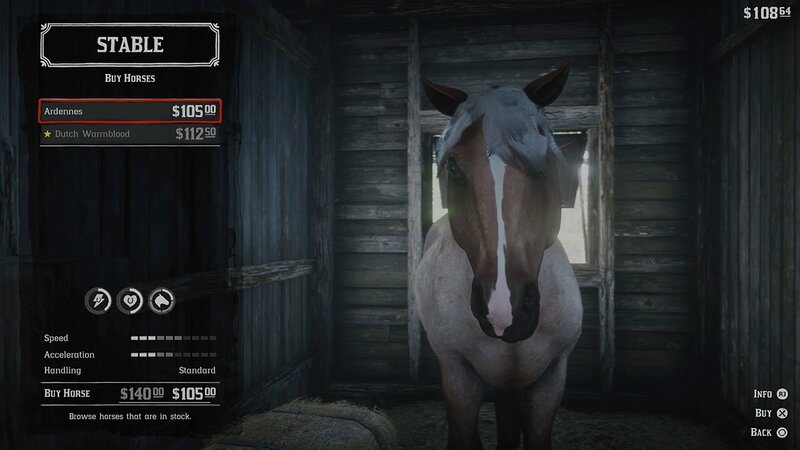 During Chapter 2 of Red Dead Redemption 2, you will be able to buy your first horse. Although at this point of the game, you won’t have much money. You will do this as part of a mission with Hosea. However whenever you want, you can go back and buy a new horse. You may want to do this if your current one has died or you’re just looking for an upgrade when it comes to speed and stamina. In this post, we’re going to show you how to buy a new horse and saddle up in Red Dead Redemption 2. If you’re interested in some more content, we’ve covered more guides for the game here. 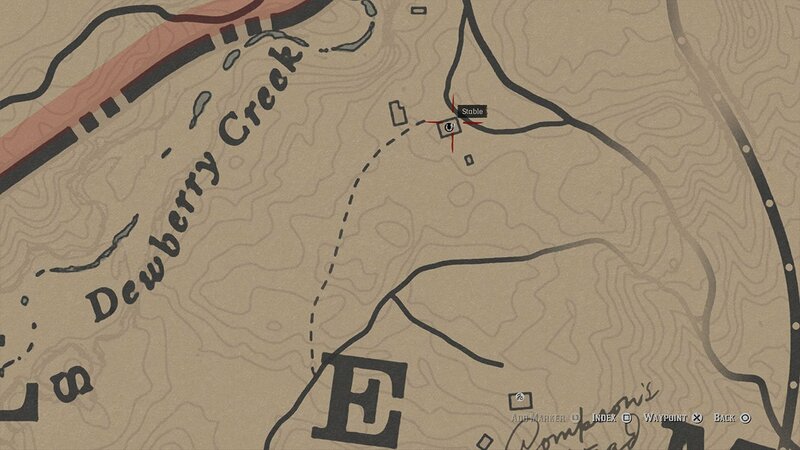 To buy a horse, you’ll need to head to a Stable on the map. There aren’t a lot of these in the world, however one can be found in Valentine, with another on the edge of Dewberry Creek. Check your map and use the index or look for the horseshoe icon. Head inside and choose the Buy option. You’ll see a list of horses currently available for sale and their stats at the bottom. You can choose to purchase one of the horses, and place your old one in the stable where it can be retrieved at any time. You will need to take the saddle off of your old horse and apply it to the new one. You can switch between your horses at the stables and upgrade them.